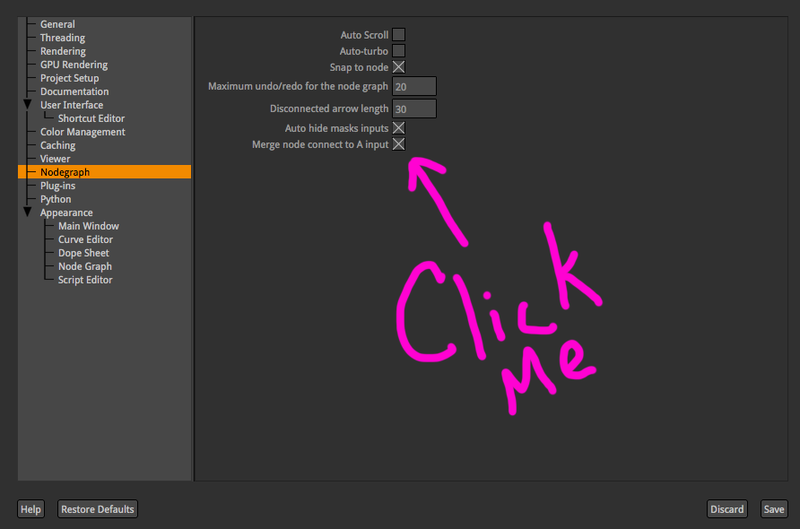 I have noticed that similar to nuke but not as bad when you hit the merge key it automatically plugs in the A first. perhaps its the way that I do things but I think it would be better if the merge connected to B first. That said I love how its scootches down first instead right. I notice I build from background to foreground. maybe other people are doing the same or the other way around? I am curious to discuss the advantages of it doing from front to back as opposed to back to front. Thinking about it some more i starting to think to be more economical its better to start with the hero and work your way out from there.